MADRID – Demonstrating the unifying power of sport, the 2019 Pyongyang Marathon, which took place on Sunday, 7 April in the Democratic People’s Republic of Korea (PRK), will be featured in a documentary scheduled to premiere worldwide this September on the Olympic Channel. 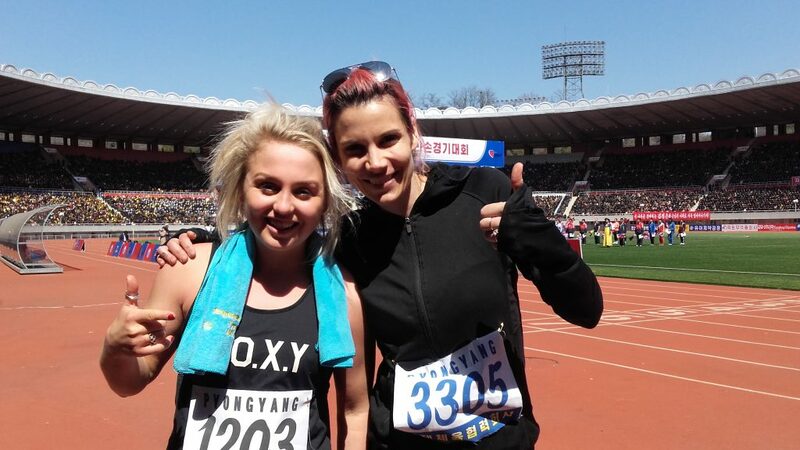 Currently filming in Pyongyang, the untitled documentary will be told through the journeys of Olympians Aimee Fuller, 27, from Great Britain, and Mirjam “Mimi” Jaeger, 36, from Switzerland, as they run the 2019 Pyongyang Marathon and experience the local sports culture during their trip to the intriguing country. Runners from around the world, including nearly 1,000 foreigners, began Sunday’s race in front of a near capacity crowd at the 50,000 seat Kim Il Sung Stadium located in the city’s centre. The 26.2 mile course led participants by many of Pyongyang’s important landmarks including the Arch of Triumph and Kim Il Sung Square, along the Taedong River and through residential neighbourhoods. Running in her first marathon, Team GB snowboarder Aimee Fuller (Sochi 2014 and PyeongChang 2018) finished with a time of 4:35:34. The Olympic Channel original production is made possible through the extraordinary efforts of the National Olympic Committee of the Democratic People’s Republic of Korea who has helped the International Olympic Committee (IOC) to give the film crew access to the country.